The mercury is touching 34 degrees Celsius at the Aldenhoven Testing Center yet, although any car with a half-decent air conditioning system would come as welcome relief to my lightly singeing skin, I’m lucky enough to be sat in the new Porsche Cayman GTS. As a self-confessed 911 man through and through, the Cayman is new territory for me but, the recently released, top-of-the-range, GTS variant is certainly an excellent introduction to the mid-engined, hardtop, sports car. In fact, it’s a truly mind blowing taster. On the short and winding handling circuit situated at Aldenhoven, the Cayman GTS proves a welcome partner in crime, allowing me to immediately hop in and set off at a frankly ludicrous pace (causing the fellow journalist beside me to reach for the non-existent grab handle). 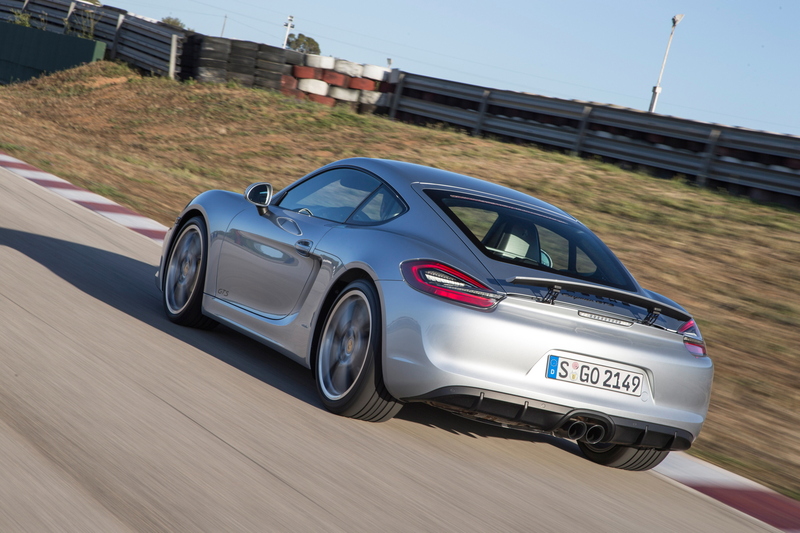 The entry-level 991 enjoys the ‘911’ moniker but, it doesn’t have the same special nature as the Cayman GTS. This is my very first experience of a mid-engined sports car, yet the Cayman GTS’s stiff and agile chassis, developed and tuned by Eberhard Armbrust and his vehicle dynamics team in Weissach, is immediately in step with my intentions. It’s rare to a find a car focussed on performance yet so manageable straight out the box. No sharing of pleasantries, no small talk, just straight down to the business of driving hard, putting a irreplaceable smile across my face. On the limit, like all modern cars, there is a hint of understeer on the corner-entry yet, the responsiveness of the Cayman is such that a modicum less throttle allows the nose to swiftly yet gently tuck in through the mid-corner phase. The Cayman GTS enjoys an excellent chassis, with its mid-engined layout creating a wonderfully controllable car. Then, with the corner exit approaching, the full compliment of the GTS’s throttle can be applied and, despite the 340hp underneath my right foot (and the lack of the 911’s traction-inducing rear-engined layout) the Cayman shoots forward without even a hint of wheelspin. Okay, so I’m feeding in the power slightly slower than I would be if I were piloting a 991 Carrera S at this moment but, my preconceptions of the 911’s ‘little brother’ have been smashed. Despite the intuitive track performance, the Porsche Cayman GTS – the top of the 981-type model range – proves equally adept at autobahn miles. It may not be quite as luxurious as a 911 but it is not far off and, when the dynamic values of this car are so accomplished, the venerable Zuffenhausen sports car is, I’m shocked to say, far from my mind. Even the 991 Carrera’s 3.4-litre engine is improved in the Cayman GTS as the standard sports exhaust creates more drama for the driver. So, how does this tale of another awesome offering from Stuttgart relate to the Porsche 911? Well, the very fact that the Cayman GTS had me head over heals in love suggests that the 991 platform, at least at base-level Carrera specification has work to do. The Cayman is a much cheaper car, even when lathered with necessary options (although the sports exhausts isn’t one of them, instead being included as standard on the GTS) yet it feels so much more special than the 991 Carrera. This, at the moment, is a problem for Porsche (especially if a Cayman GT4 is on its way shortly). However, Zuffenhausen realises that, despite the Cayman’s improving pedigree, the 911 has to remain as the flagship sports car in the range. Because of this, the 991 Gen2 will undoubtedly see a range of improvements to keep the 911 at the top of the pecking order. Without them, the Cayman will begin to steal sales away from potential 911 customers, and Porsche just cannot allow that to happen. 51 years of heritage dictates so. Instead, expect the 991.2, and whatever it’s replacement becomes, to reach the levels that the first-generation of 991 so nearly obtains. 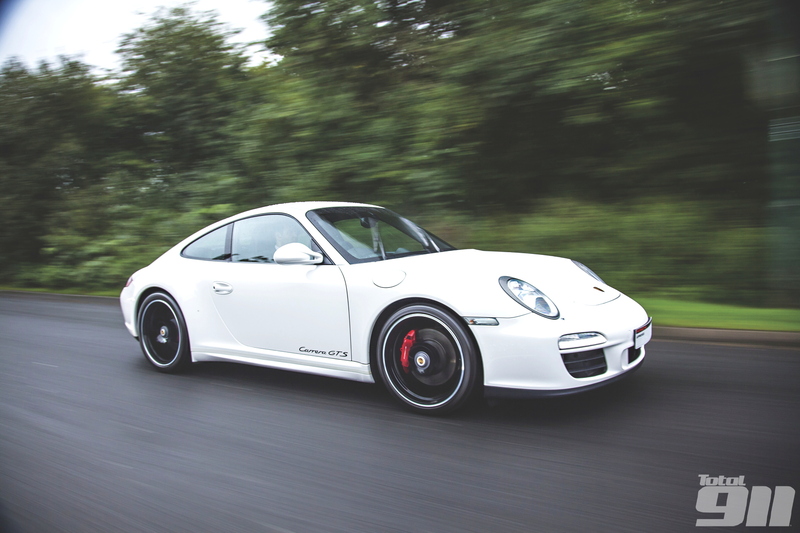 There may even be a 991 GTS coming to market very soon, ready to reassert the 911’s superiority.